We are so excited to share details from little Noa Juliette’s baby naming! 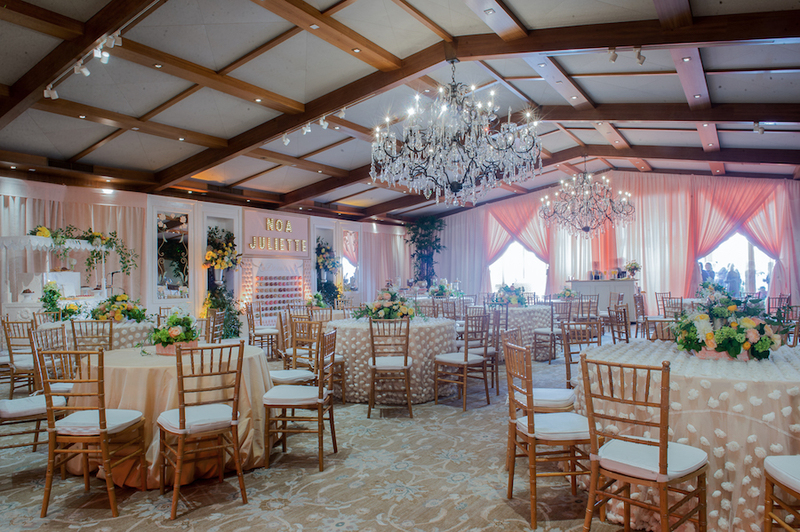 Held at Hillcrest Country Club, in Los Angeles, this baby naming was truly fit for a princess! 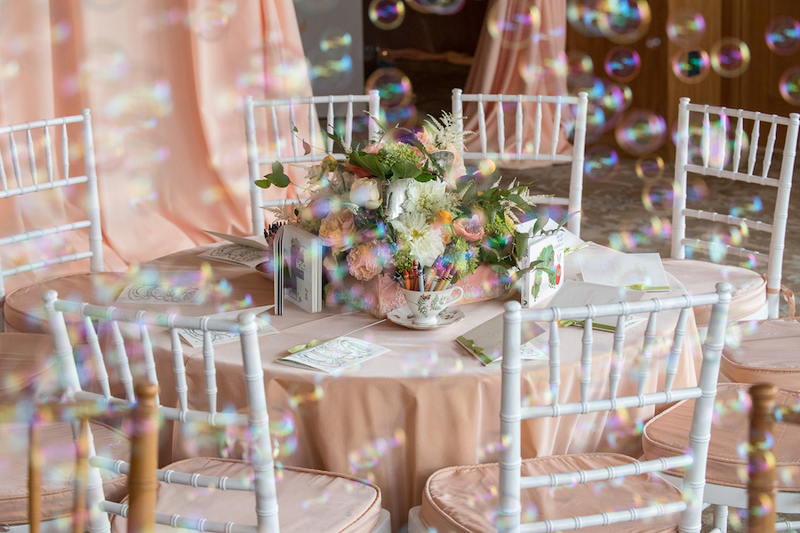 We filled the room with round tables draped in blush linen with an alternating overlay of textured floral rosettes. 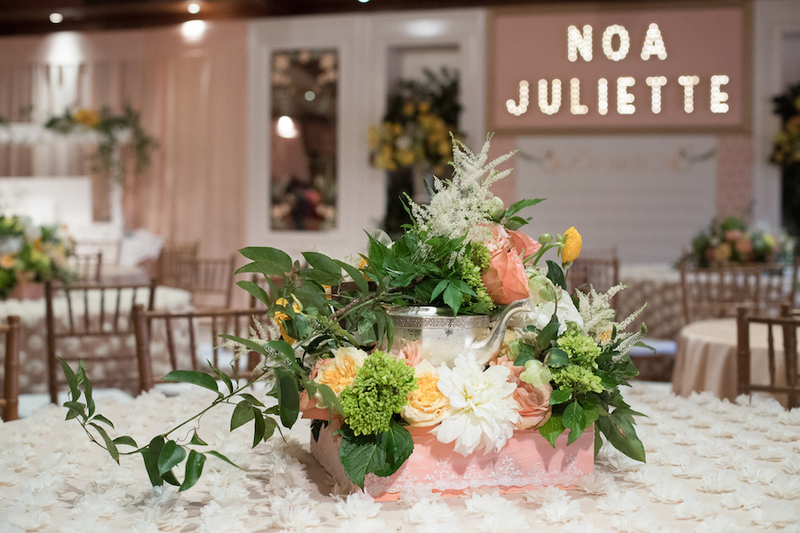 Each table featured centerpieces of garden roses, dahlias, viburnum and other fresh textured greens designed in a light pink square container with accents of vintage silver and china teapots. 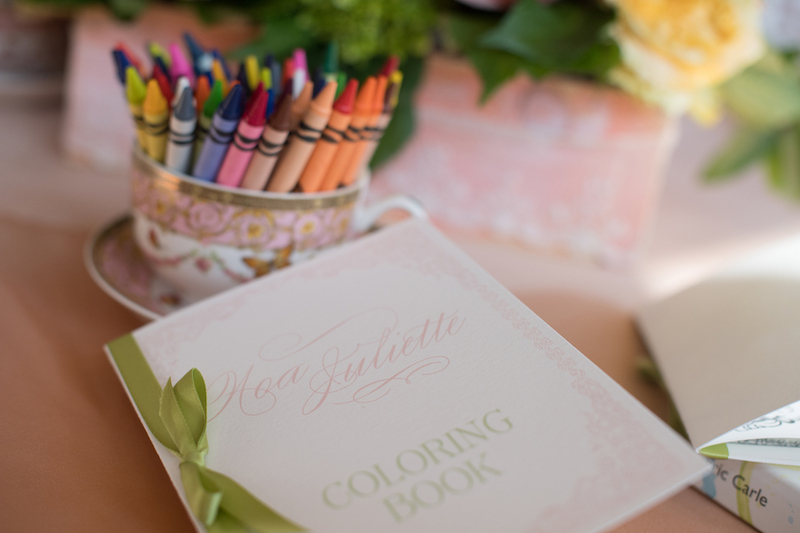 The children’s tables aptly included many children’s classic favorites like “the hungry caterpillar”, crayons placed in antique teacups and custom coloring book designed just for baby Noa. 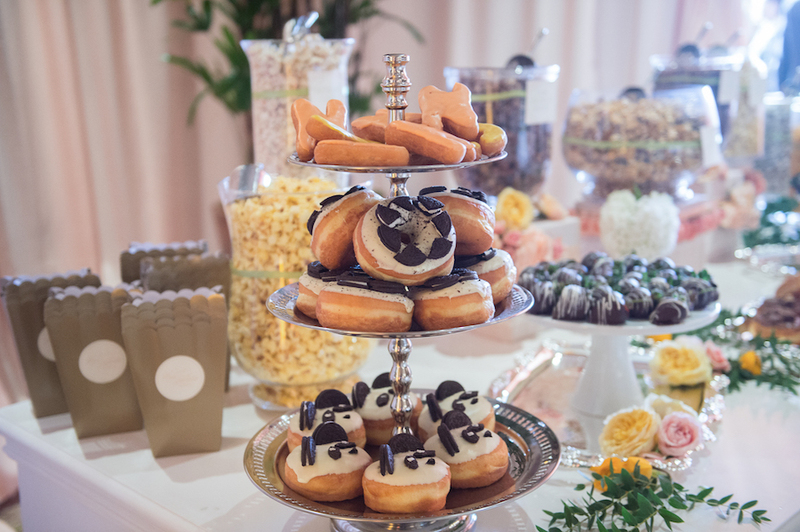 Always wanting to cater to guests with a sweet tooth, we included a dessert bar with a selection of scrumptious donuts: panda shapes, oreo toppings, and of course, a donut in the shape of an ‘N’. The table also included an abundance of gourmet popcorn in many flavours, chocolate covered strawberries, and other sweet treats! In the center of the room, we placed a glowing marquee which featured Noa’s name with a pink background and gold frame. 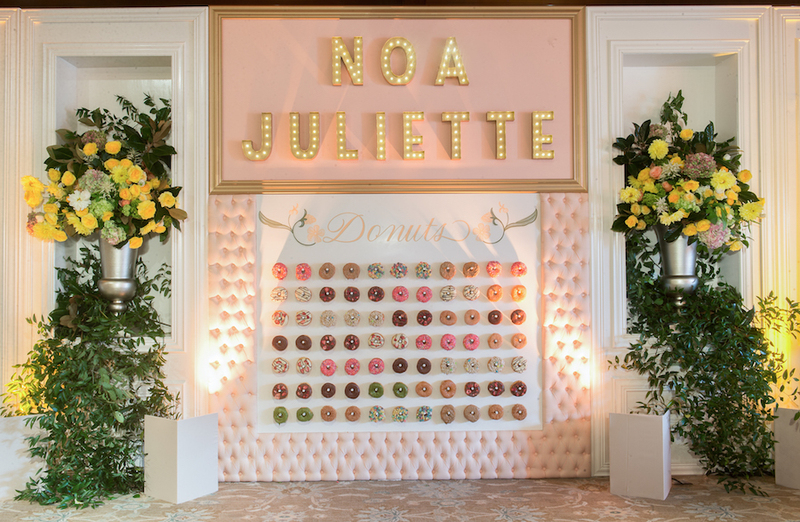 Beneath her name was a blush tufted wall which held our favorite donuts with an array of flavors and colors. 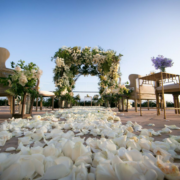 Standing on either side tucked into alcoves were lush displays of floral and greenery. Special thank you to Elizabeth Solano for these photos that we will forever cherish!